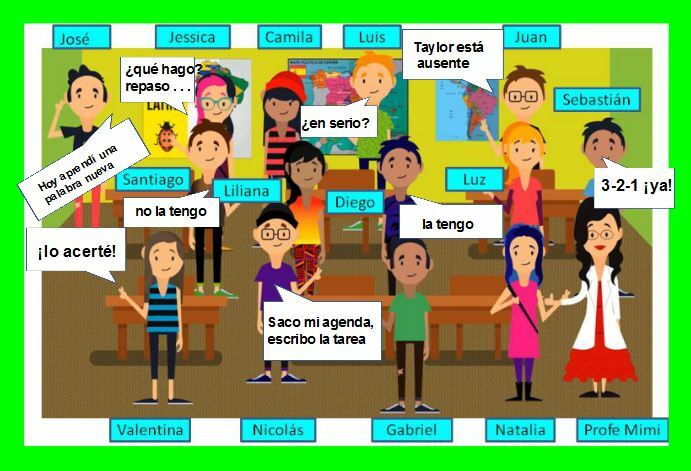 How Can I Transition My Students to Speaking in Spanish? in French? in Italian? in English? in Mandarin? in German? 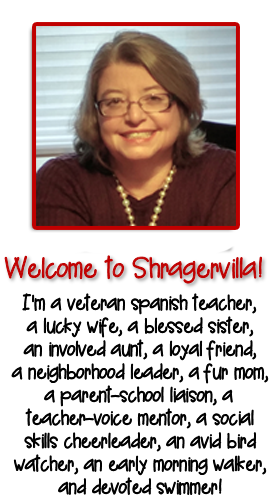 December 10, 2016 By Personal thoughts and beliefs of E.B.Shrager - do not represent those of any past or current employer. The music in the Spanish transition videos create a direct and speedy path in the brain to spontaneous output. A teacher asked this eternal question on Facebook today. Based on my level one students, my response is that 10 – 15 daily doses of thirty- second meaningful and engaging music and voiceovers sprinkled through out the class period will have the appropriate phrases dropping out of students mouths! My students have a constant stream of transition videos that release relaxing endorphins and teach them useful phrases for the classroom. I understand the input/output theories but in my experience this year, music creates a direct shortcut to output! No research on this, just what happens in my classroom every period every day! 2. I wrote two blogs about cell phones. 7. Play the video about finding a random partner of the week or if we already did it play the musical slide to find this week’s partner. 8. Practice with partner(s) usually some kind of spontaneous speech activity – there are videos that show the students how to play guessing games. If we have the computers then they will watch “The Take Out the Computer” video, “Practice QuizletLive” video, students practice on their own, play the quizlet live video and finally I play the “Put Away the Computers” video and rearrange the chairs slide. 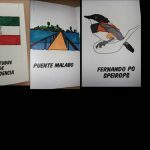 My students quickly learn the games that have songs to teach the vocabulary and create spontaneous dialogues – month two of Spanish One! They can all do “más alto, más bajo” and many others. 9. Slide leading into next activity – could be a listening activity or a reading activity or Simon says. 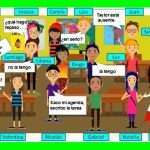 My students all know “vamos a jugar” and can follow it with many games. 10. Tidy up the room. 11.Take out the Agenda video and students write down the homework. My students can say any line from this song at appropriate times. 12. Closure – students sing and then tell me something new they learned. My students can spontaneously say “Hoy, hoy aprendi ” and complete the thought.